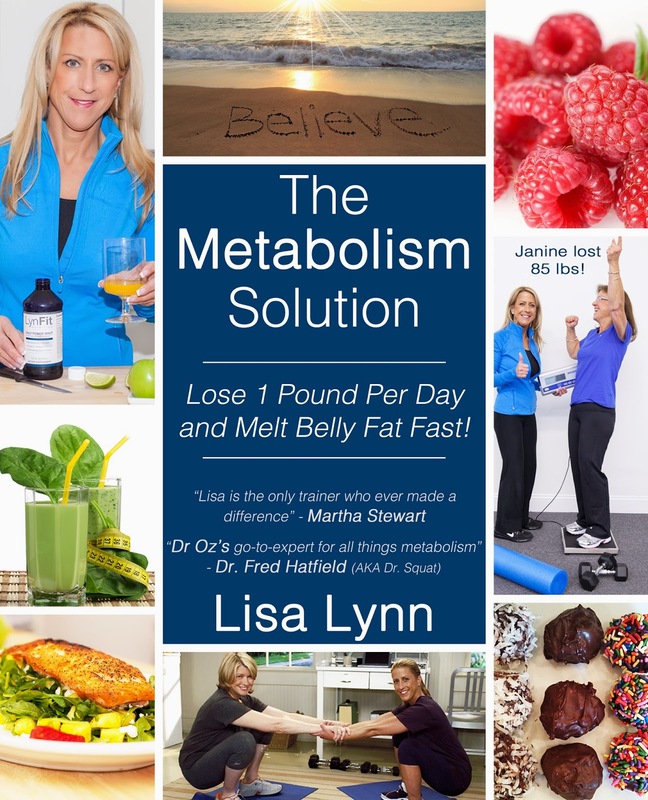 Spotlight Tour: The Metabolism Solution by Lisa Lynn with giveaway! Today I am spotlighting the lovely Lisa Lynn who I met at BEA 2014. I clicked with her immediately and she took the time to chat with me. She is touring her book The Metabolism Solution in January with iRead Book Tours, and we want you to know what she does and how she helps individuals lose weight safely. Plus, there's a great giveaway with this spotlight! Are you ready to lose 1 pound a day? Have you tried every weight loss plan under the sun? Don’t give up in frustration; The Metabolism Solution will make it faster and easier. What makes The Metabolism Solution different? It will teach you how to safely harness the power of your metabolism to lose weight and melt belly fat fast. You will learn the right way to work out to boost your metabolism with the best part being seeing results the first day after your first 30-minute workout. You will learn how to address your weight loss and fitness issues from the inside out, allowing you to focus on what created the weight gain in the beginning and how to correct those issues. Lisa is giving away her LynFit Fat Loss Trio Package (worth $108.95, more details about products here) along with a copy of her book, The Metabolism Solution.